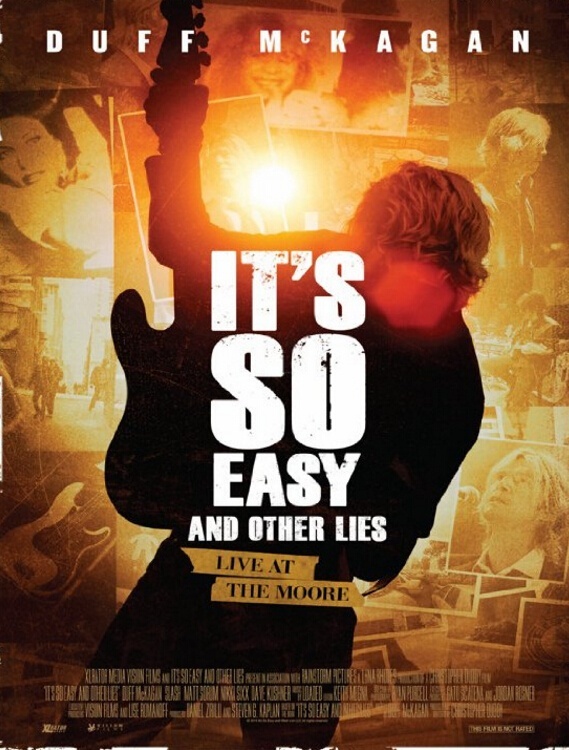 Guns N’ Roses bassist Duff McKagan will screen his documentary, “It's So Easy And Other Lies: Live At The Moore”, in US theaters starting May 26. Deadline reports XLrator Media will present the film in 50 US cities ahead of the its theatrical release in Los Angeles on June 3. The documentary’s release comes three weeks before the partially-reunited Guns N’ Roses will begin a summer stadium tour of North America at Ford Field in Detroit, MI on June 23. The trio of McKagan, Axl Rose and Slash have regrouped for a 2016 run with a lineup rounded out by Richard Fortus, Dizzy Reed, Frank Ferrer and Melissa Reese.